Hunt with the Hadza, camp with the Massai, track African wildlife, explore the Serengeti on foot. 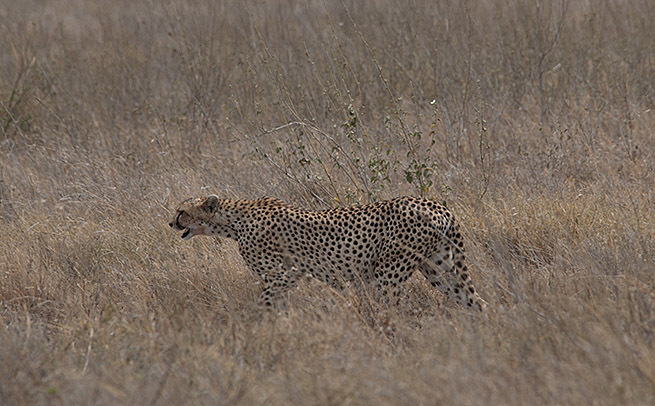 Working in conjunction with a leading Tanzanian safari company, we have gained access to some incredible and seldom visited areas of northern Tanzania. Through this partnership we provide a stunning itinerary of African bushcraft, tracking and wildlife watching. Safari means ‘journey’ in Swahili and this journey truly is the trip of a lifetime. The Tanzanian Bushcraft Safari provides an exclusive 13-day immersion in African bushcraft, tracking, animal identification and viewing. This trip offers an opportunity to gain exposure to, and learn about, indigenous bush knowledge that is second to none. 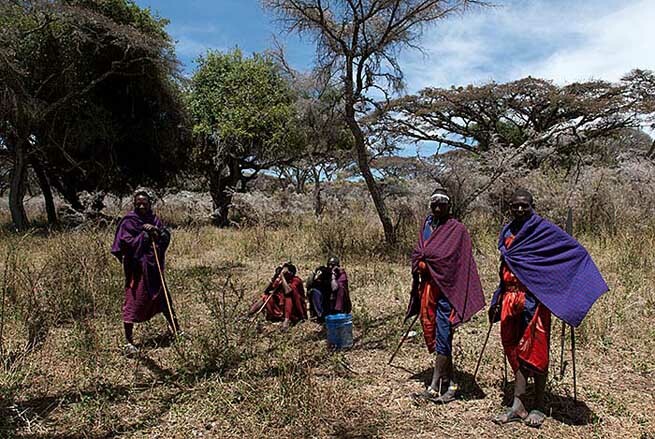 You will spend time gaining valuable knowledge from traditional herdsmen as well as camping alongside, and learning from, the Hadza - some of the last hunter-gatherers on the planet. 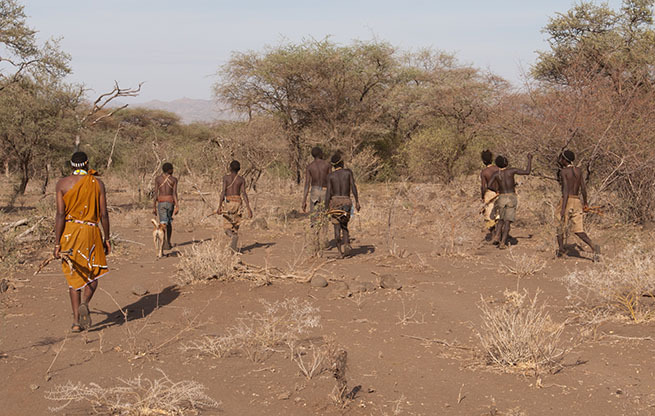 Hunting and gathering with the Hadza. This local knowledge of the African bush combined with systematic tracking training from Frontier Bushcraft instructors will provide an incredible preparation for the final part of your trip. Your journey culminates with an exclusive walking safari, travelling by foot and camping amongst the incredible wildlife of the Serengeti. Day 1: Arrive Kilimanjaro airport. Overnight Arusha. Day 2: Drive to private land. Bush safety and tracking training. Overnight light camp. Day 3: Tracking training and wildlife identification. Overnight light camp. Day 4: Drive to Mysigio camp. Meet with Maasai. Overnight Mysigio camp. Day 5: Full day with Maasai or game viewing in Ngorongoro crater. Overnight Mysigio. Day 6: Game viewing in Ngorongoro crater or full day with Maasai. Overnight Mysigio. Day 7: Drive to Lake Eyasi. Afternoon with Hadza. Overnight light camp. Day 8: Full day with Hadza. Overnight light camp. Day 9: Morning with Hadza. Drive into Serengeti. Overnight Serengeti main camp. Day 10: Enter Serengeti wilderness area. Overnight light camp. Day 11: Serengeti walking and tracking. Overnight light camp. Day 12: Serengeti walking and tracking. Overnight light camp. Day 13: Drive out of wilderness area. Light aircraft from Seronera airstrip to Arusha.